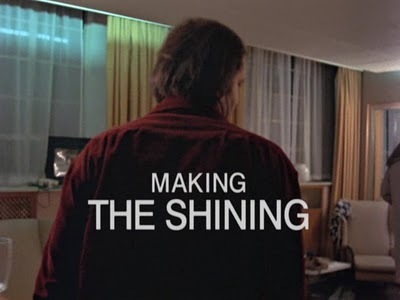 Directed by Kubrick's talented daughter Vivian, this making of documentary is a little bit of a change of pace from the movies I have been including on here. It's certainly worthy though as it chronicles the making of one of the greatest films of all time. This has a great look at Stanley's vision of the film and how he planned on getting it just right. His scenes with Danny are very uncharacteristic of the director, who is often cold, calculating, and will do what he needs to for his film (see: Shelley Duvall). It's great to see him interact with the child because he always knows just what to say. Also, bravo to that damn kid. Danny really is on the ball. They show him in action (of course with SK barking orders off-camera) and it's a sight to behold. It's amazing the performance that can come from such a young person. It's also fascinating to see the dynamic between Jack and Stanley vs. Shelley and Stanley. Nicholson seemed to have a fairly friendly relationship with the director, while Duvall's was very hostile given that Kubrick wanted her performance to be as real as possible, so he took the route of verbal abuse. I wonder how sued Kubrick would be in this day and age?